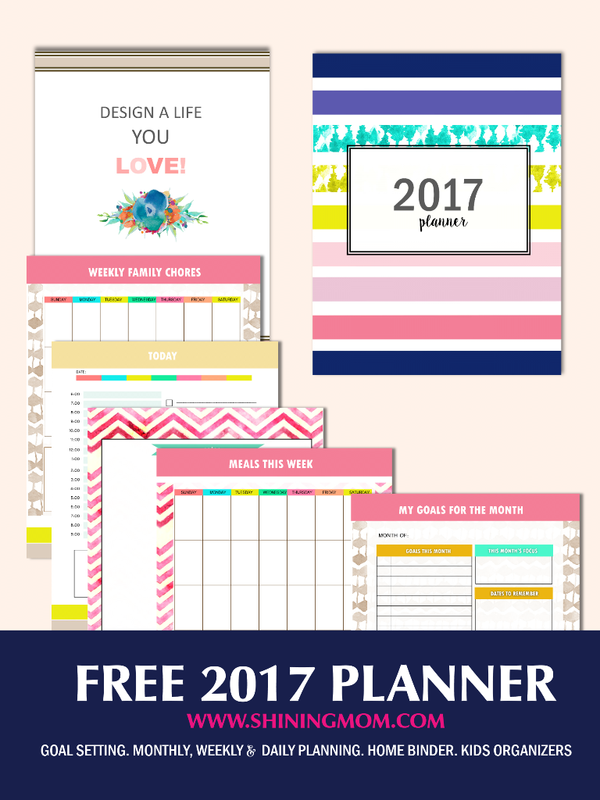 Free Planner 2017: Design a Life You Love! 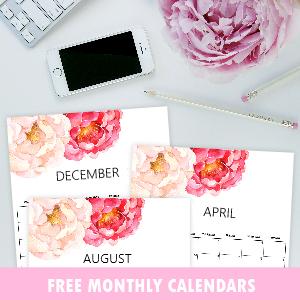 My heart is thumping in excitement as I am now releasing your free planner for 2017 today! Yup, it’s here, finally! Come browse through, lovely pages to keep your year blissful await you. 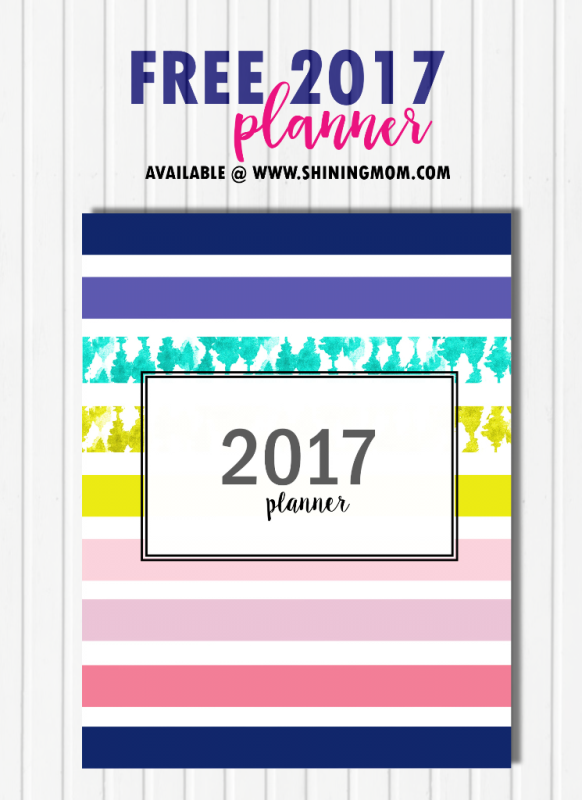 Fun and colorful, this free 2017 planner is positively a great tool to help you stay organized and productive through the year! Get ready to design a life you love! Hello, sweet friends! Before I show you the 2017 planner, I must share how immensely honored I am to see how you welcomed my 2016 edition. 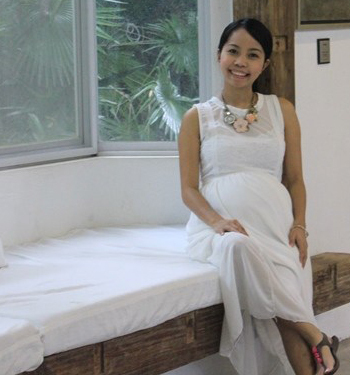 It was such a huge success for my blogging career! Since it’s release, it has been pinned thousands and thousands of times and been viewed by several thousands of you! Oh, thank you! I am humbled and I admit, intimidated at the same time knowing that a lot of you use my planner to design your days. This is why, with this planner, I made sure to put my very best again. 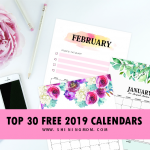 This free planner for 2017 is again a work of heart and I hope you’ll love it just the same! 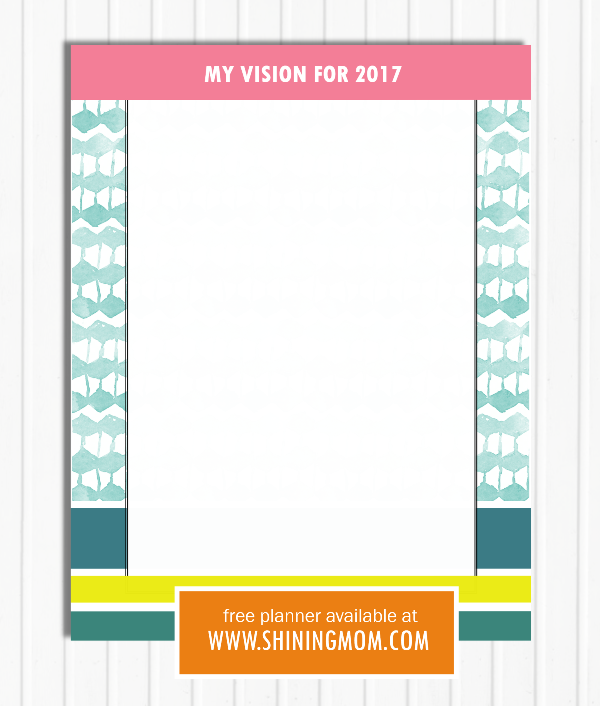 This Free Planner 2017: Design a Life You Love is my simple way of showing back my gratitude. 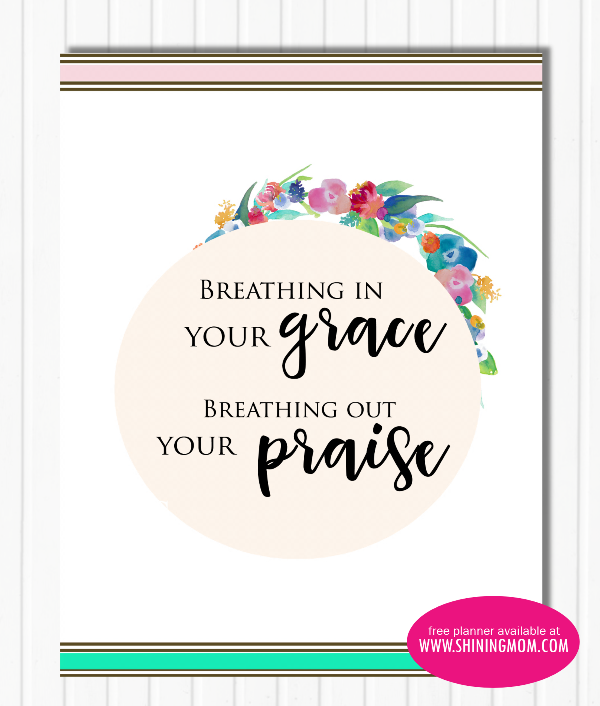 In the midst of a day, I sometimes just look up, thanking Him realizing the doors He has opened for my family through this blog, through you. Truly, God blesses a cheerful giver and I am blessed to bless you with my simple creations, like this humble planner. Consider this then as my thank-you gift for supporting my blog all the way. Thank you keep on visiting me here, thank you for allowing me to be part of your days! While I was working on the planner layout, I had one thing in mind: Flexibility. I created this with the thought that each of you have your own way to make your planner work for you. This planner then gives you the liberty to design your own life. You’ll find headers that are not categorized and columns that can still be divided. That way, you can create your own system that will work for you. To get your copies later on, simply click on the file links provided for (which are found in every category) to download it. 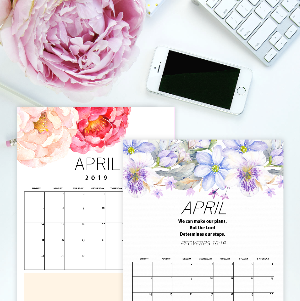 This printable planner is in PDF format and all pages are designed to be printed on a sized 8.5×11 paper. What are you waiting for? 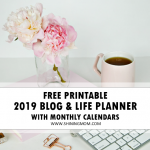 Come join me in this planner tour and then later on, clearly map out your plans for the year ahead! 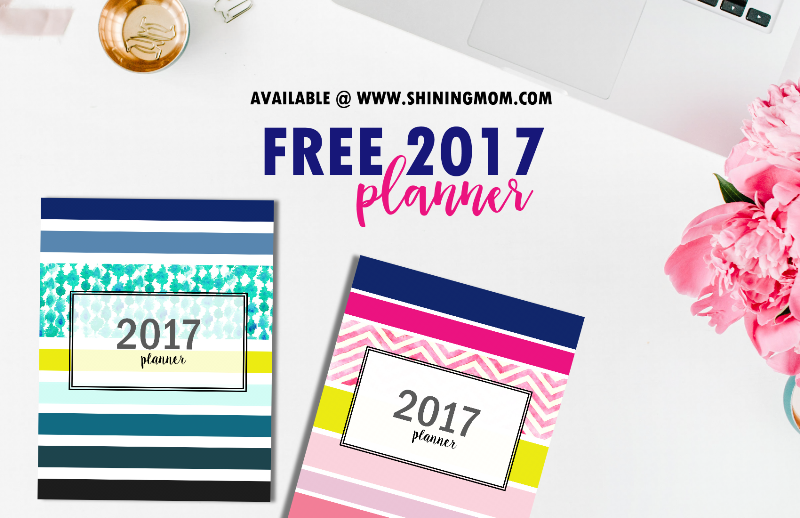 Without further ado, I am humbly and happily unveiling you your free 2017 planner! For your free printable 2017 planner, you’ve got three pretty options for the cover. The first one has a playful feel in happy colors. The other two, which are equally delightful, are mostly in hues of blue and pink. 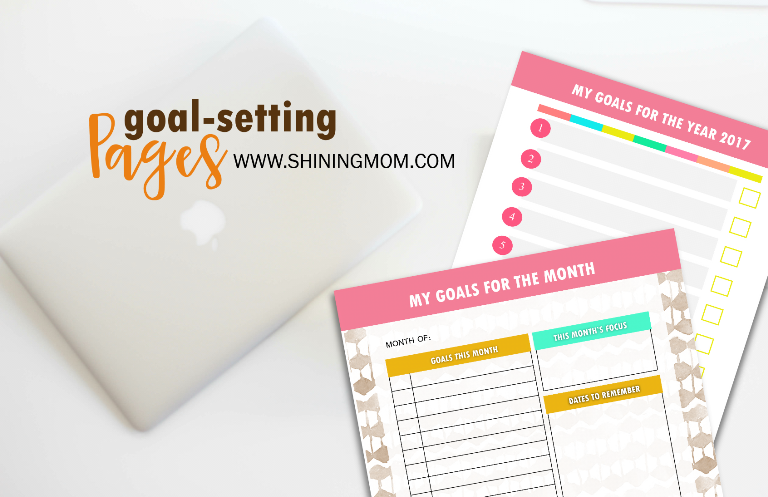 They all come out bright and cheery because I want you to be motivated and inspired as you open the planner. Choose the cover that suits your personality , your options are right over HERE. 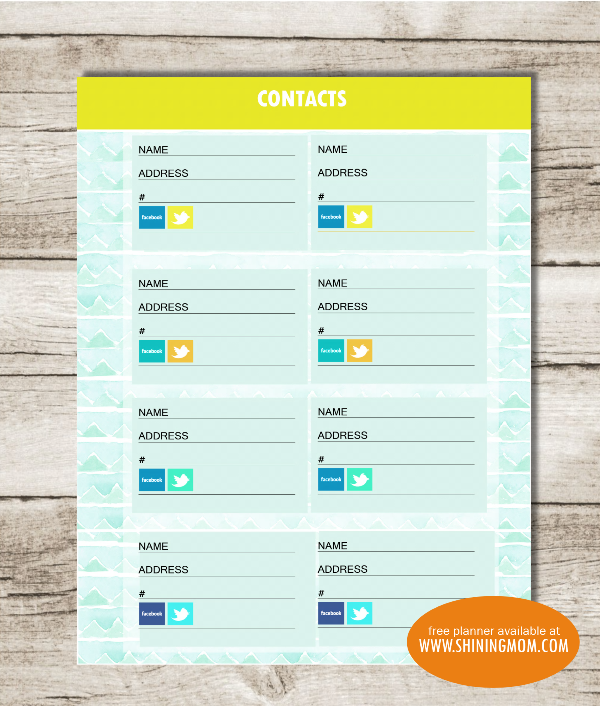 I’ve also created lovely sheets for you to write your personal information as well as your contact list. As Antoine de Saint-Exupery puts it, “A goal without a plan is just a wish.” I must admit, I had so many goals in the past that never materialized. Those “abstract wishes” only became true goals the moment I learned to plan out how to accomplish them. Time to roll up your sleeves, map out your vision and set your goals and action plans for 2017! Here are your colorful pages to inspire you to write them and later on set action plans to achieve them! How do you like to run your day? 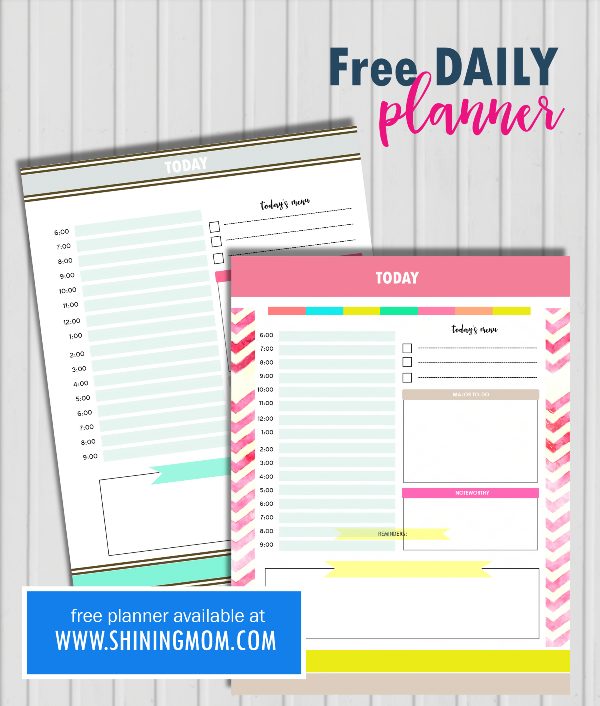 Here are sweet planning pages that you can use for your daily planning! 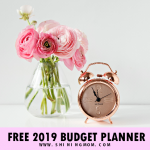 While the planners you see here are categorized, you’ll also find blank copies in your download which are absolutely flexible so you can categorize and layout your planner the way you like it! 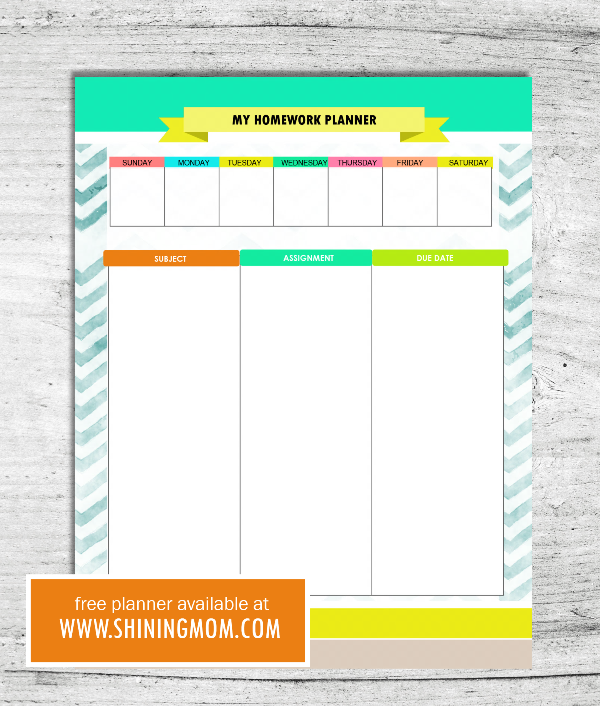 Here are more sheets for your planning bliss! 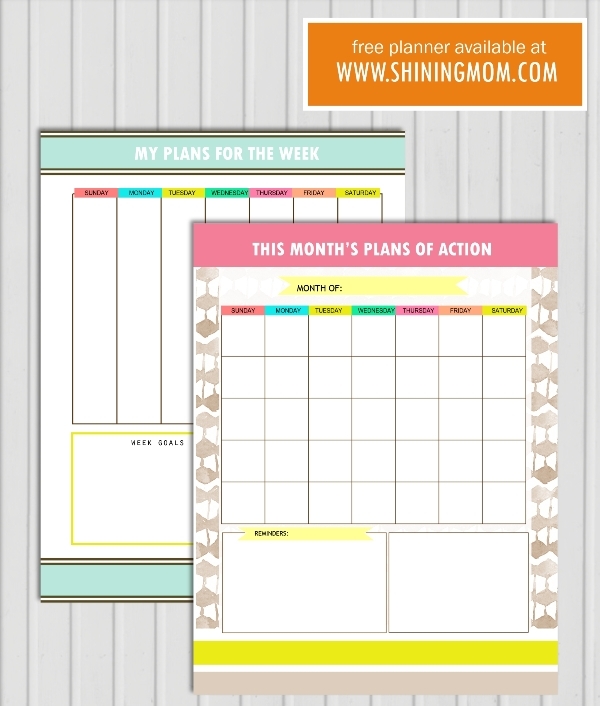 Write down your plans for the week and identify your plans of action for the month! I did not forget the kids, those cute and energetic kids! The next pages that you’ll be getting are for them! To my parent readers, be sure to snag a copy of this binder! 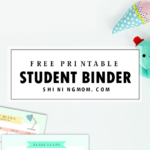 What are the free printables included in this binder? 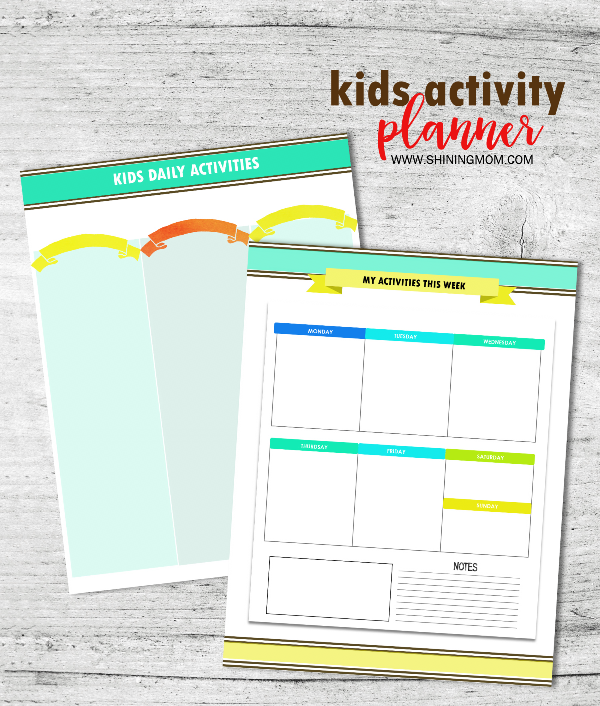 Well, you’ll get activity planning sheets for the kids and homework planners. (Moms of homeschoolers, I hear you!) Yup, it’s about time to schedule fun activities such as “A Crafty Afternoon” to fuel the fun! Get your copy of this binder HERE. Tip: Have the sheets laminated and use erasable markers in writing so you won’t have to print these pages over and over! It’s nice to live in an organized home, isn’t it? I’ve fully embraced its beauty when I got married because my husband is such a pro in organizing! He has a system and we’re sharing it in this section! This next binder that comes with your free planner for 2017 has lovely pages to keep your lovely home in order! 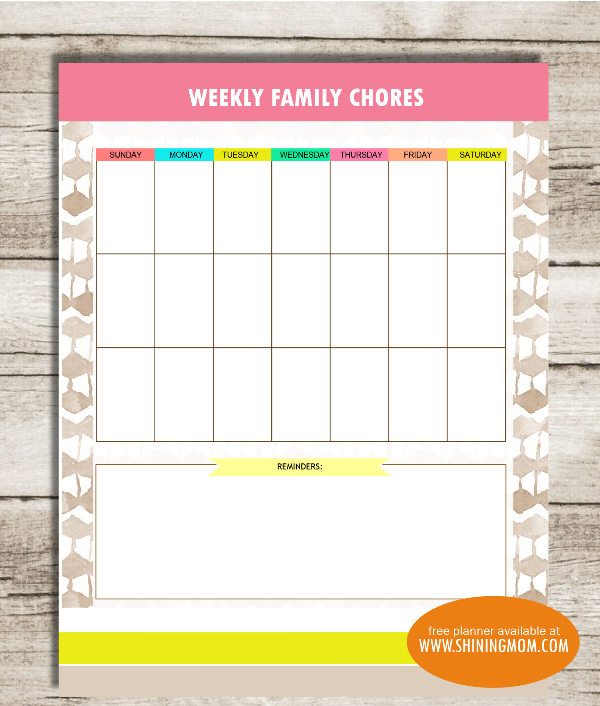 Use the Home Cleaning Chart to for your cleaning schedule and the Weekly Family Chores Chart to get every member in the household do their part! 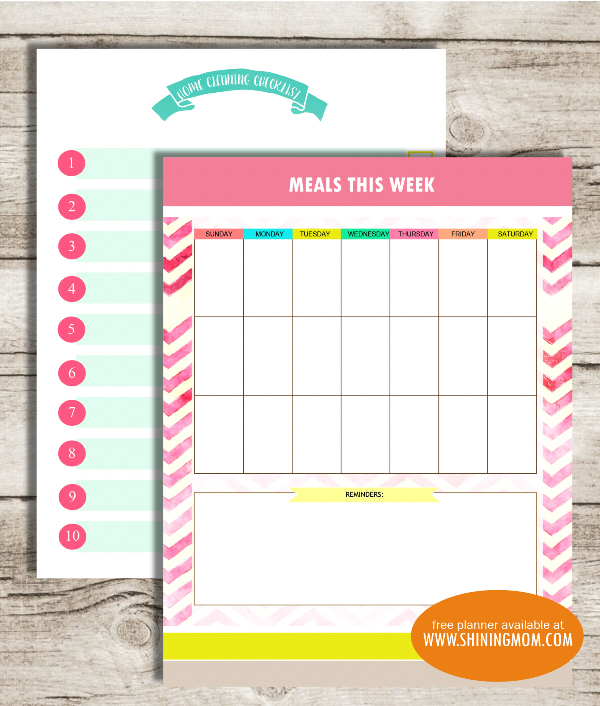 To ease your kitchen life, there are also meal planning templates as well as food shopping lists to help you! 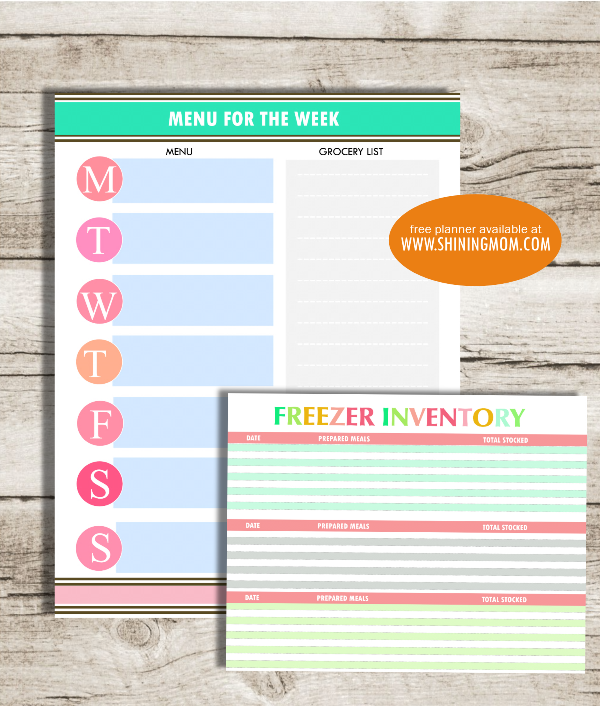 And oh, I did not forget to include your a freezer inventory sheet, too! 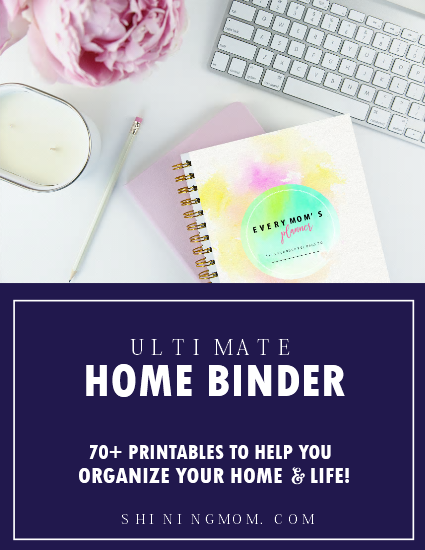 Your printable copy of the Home Binder is HERE! Waaiiit, there’s more! 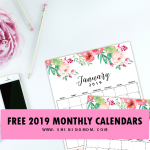 I think you’d also love to see some printable stationery and planner dividers along with this free planner for 2017, right? I am also adding those sheets! 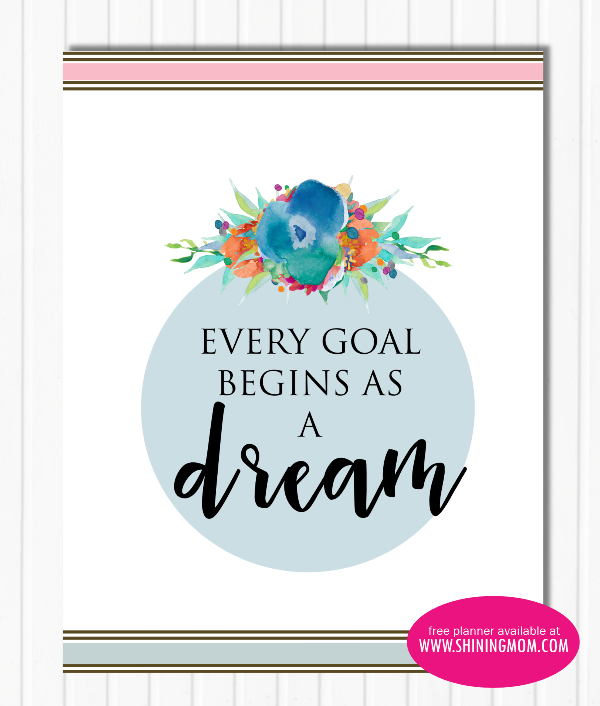 Find beautiful lined and unlined sheets for your thoughts plus truly inspiring planner dividers! 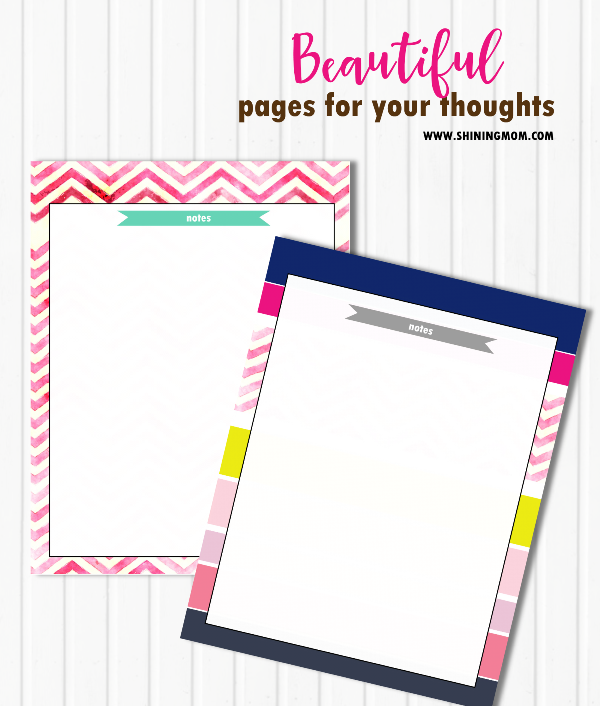 Here are the lovely planner dividers to inspire you to keep moving forward and to live your best life! 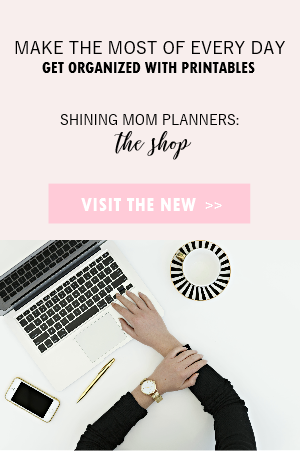 Grab a copy of your planner add-ons right over here! Please be sure to get all the copies. There are five PDF files all in all. The 1st one includes the covers, the 2nd one is the 2017 Planner, the 3rd is the Kids Binder, the 4th is the Home Binder and finally the Planner Ad-ons. All of them are linked within each planner category so please find them there. 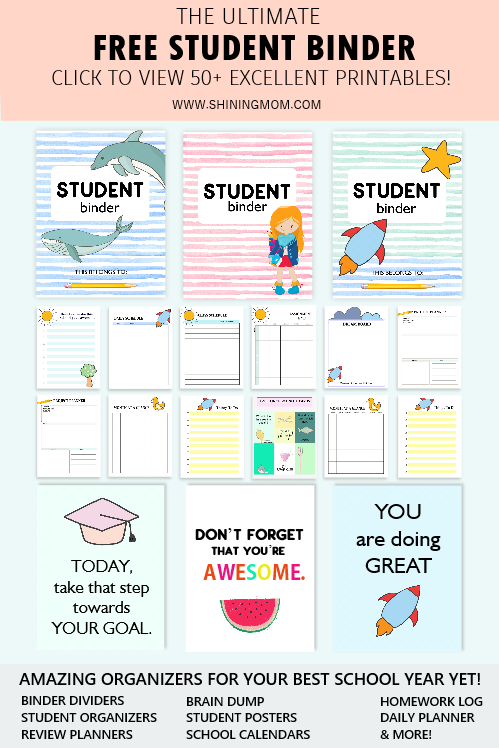 You’ll be surprised to see that there are a whole lot more pages to love in your download (such Dates to Celebrate and Lesson Planner!). Yup, there are more to see there so do grab them ALL! Sweet friends, is there any other planning page that you wish included here? Just drop it in the Comments and if I can, I will release it my usual weekly segment– the Happy Freebie Monday! By the way, I have already previously released my calendars for next year. You can view them HERE and HERE! 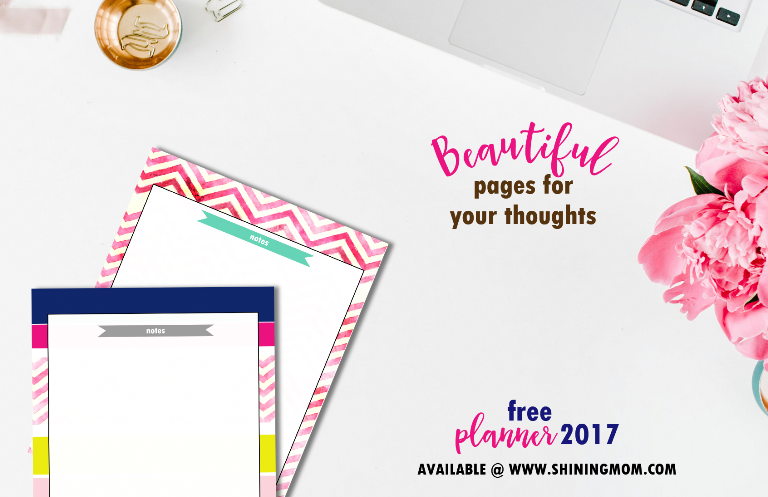 Enjoy this Free Planner 2017 by Shining Mom. Print it. Own it. Use it to design a life you love! Additionally, you might also like to get LIFE, SIMPLIFIED to help you get organized once and for all! Live a life you love! Have an awesome year ahead, sweet friends! This is AMAZING! Thank you for crafting these! Thank you so much for appreciating my work. It means a lot! Have a great day! Love this! Thank you so much for sharing!! love love love your planners! THANK YOU for making them free (and for making them 2017!! )… you rock. Hi! The PDF files are linked within the post! The article will guide you where. It usually says “HERE” and that is where you get the files. Thanks! You’re most welcome! Hope you like it! Hi, you can find the links within the post! Thanks! Thank you so much! Everything is beautiful and so useful! Thank you for your kind words! =) I am delighted that you like the planner! Thank you so much for sharing all of your hard work for free! It’s all beautiful! God bless you! Thank you also, Heidi! I’m glad you like it! You’re most welcome! It’s my pleasure! 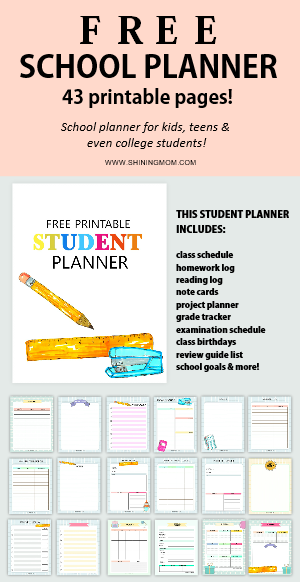 THANK YOU for sharing such wonderful and useful printables and planners. You’re most welcome! Thanks for keeping in touch! Love all your works! Thank you for providing a beautiful piece. This website is also the same with http://homeprintables.com/ right? Hi, Nora! That blog is also owned by the family. =) Thank you for your kids words! 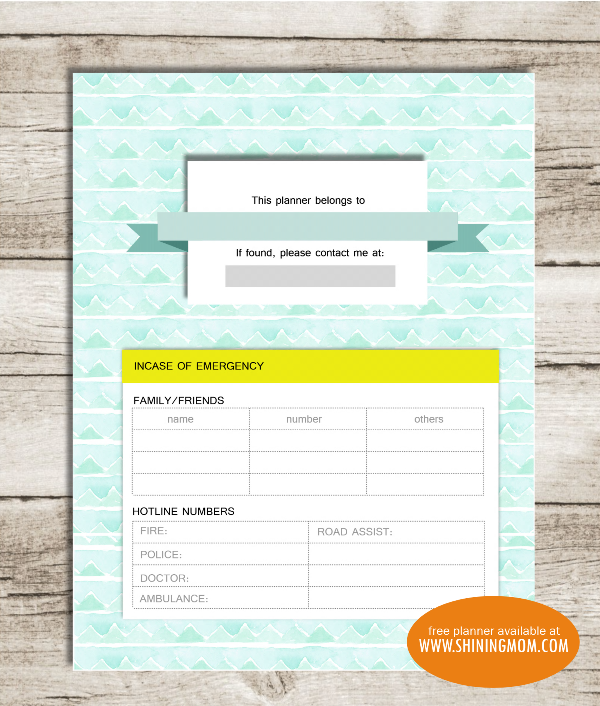 thank you so much for sharing this lovely printable layouts! i like them all cutie designs. Hello! This looks lovely and I’m excited to download it! Somehow I don’t see the download link – did I miss a deadline to download it? Is it no longer available? Hi, Christina! No, you still can definitely download the files. Please read the post and find the link that will direct you to the files. Cheers!